4k00:10Red Mangalitsa or wooly pig asleep in mud - close up. A pig in the mud is a happy pig. Free-range, outdoors, they have a decent life. 4k00:12Kangaroo's Face Close Up. the Animal is Chewing, Feeding, Nibbling a Grass in the Zoo, Green Grass in Park. 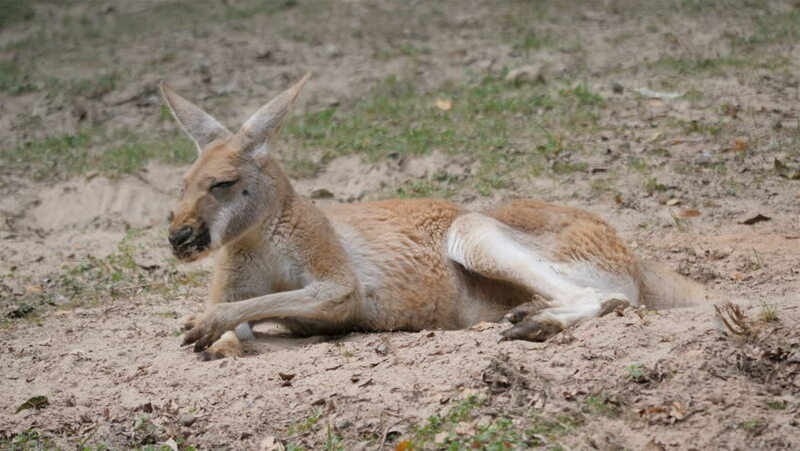 Kangaroos Are Endemic to Australia. Animals Are Grazing.